Forty years into her career — and still innovating — sculptor Bella Feldman has more to say, more art to make, and more people to reach. A visit to her studio in Oakland, Calif., reveals the artist’s mind working out the details. A pioneer among women sculptors, Feldman creates tension through her materials and expresses themes drawn from her own life experiences — including the Depression, the Holocaust, and many wars. Although she and her work appear tough as nails, neither is invincible. 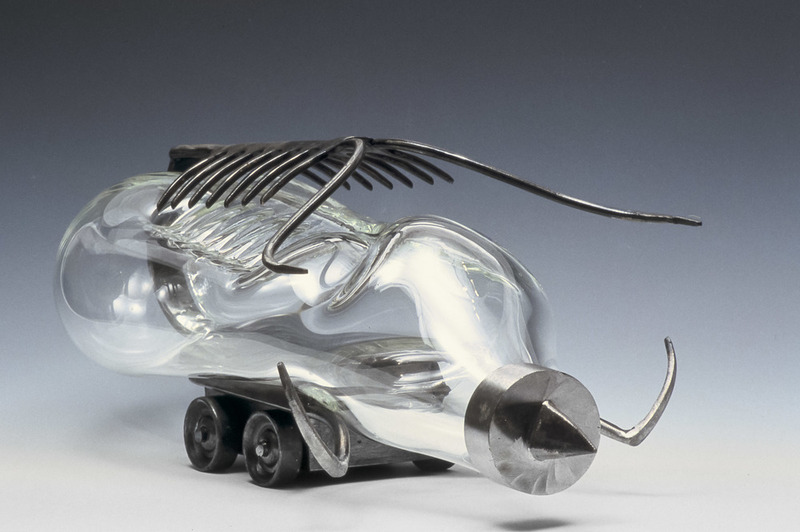 Her life (and ours), like the glass blown into her sculptures, is delicate. Feldman’s message is timeless and delivered in a curious fashion that never ceases to compel us to look, think and engage in her art.